Since forming in 2006, North has been working to invest our time and capital in the most productive way possible. In pursuit of this goal we developed a due diligence process for early stage ventures which evolved into a software product we utilize internally as well as license to other investors. The benefits of a highly structured due diligence process are remarkable. Optimize time and capital by using consistent attribute analysis, a common scoring process, and comparative and regressive data analytics. North Venture Partners provides opportunity analysis for investors and corporate clients using a standardized process and method which delivers consistent and reliable results. Typical engagement is 5-7 days depending upon the technical review, legal review, or other unique aspects of a venture. If you or your business think you would benefit from a data driven investment analysis process, get in touch with a partner to learn more about how we work with investors and corporate development teams by clicking here. Smart investment decisions require a consistent and objective analysis of each opportunity. 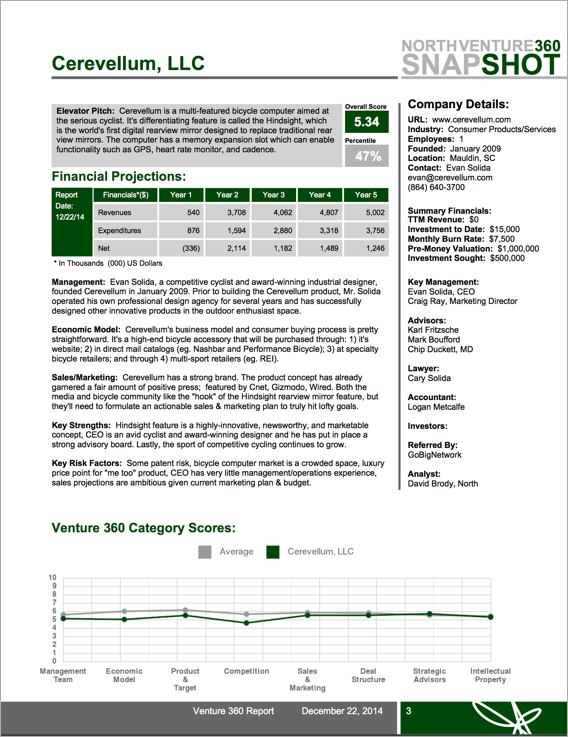 North Venture Partners developed a software platform for quantitative and qualitative comparative venture analysis called the Venture 360 Report. 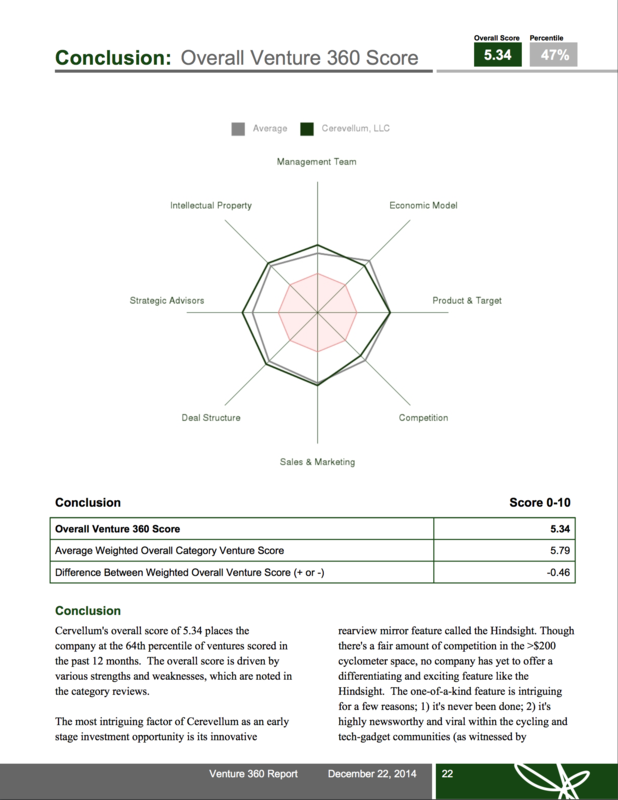 Through a rigorous evaluation of 80 unique venture attributes, the Venture 360 analysis process and report provides both deep deal analysis as well as comparative data with other early stage ventures. 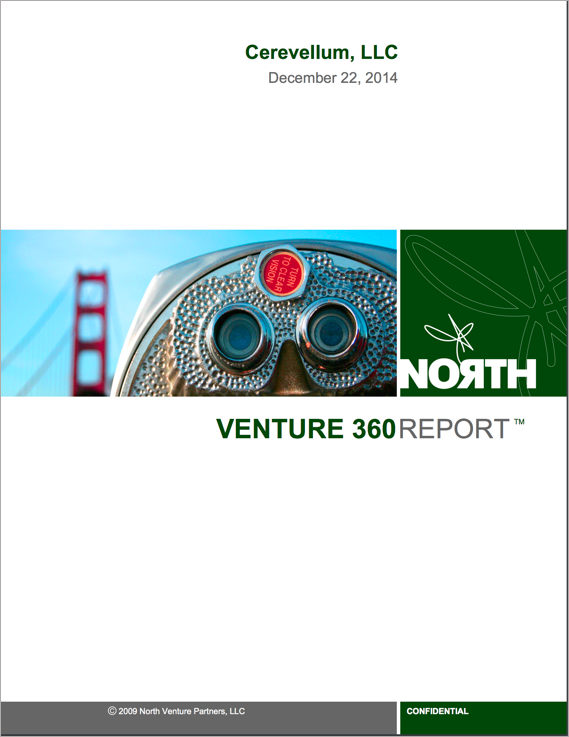 North provides Venture 360 Reports for forward facing investors seeking a data driven due diligence process for early stage venture investments. Each Venture 360 Report scores an opportunity across 80 different data elements within 8 categories. The creation of the 80 elements came from a year long research project conducted through an open community of venture capital investors, entrepreneurs, and academics (The Venture Phenome Research Project). Only consistent and uniform data can provide the foundation for a repeatable deal analysis process that can be optimized over time. Investors that use a different evaluation criteria for each opportunity cannot benefit from contextual data or produce effective comparisons which makes consistent investment decisions far more difficult. 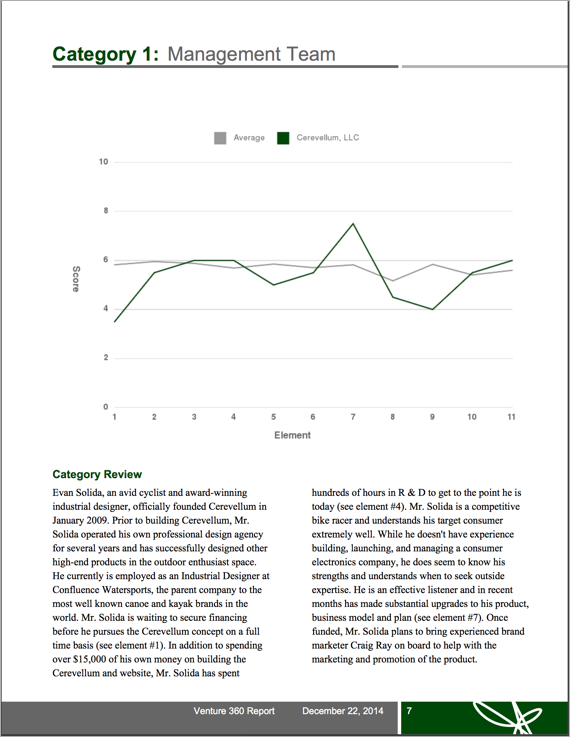 Each Venture 360 Report provides 24 pages of detailed investment analysis along with category specific scores and analysis. To achieve nearly uniform reporting across analysts and opportunities, the Venture 360 software helps guide the investment analysis and scoring process to ensure common scoring and scale. The output from this highly structured process is a consistent data driven report, which gives investors more decision enabling data than ever before. The Venture 360 Software ensures a consistent scoring process and methodology across analysts and industries. The strength or weakness of each unique attribute of a venture investment can impact the decision to invest, or what to focus resources on after the investment. The Venture 360 Report platform has one of the largest and fastest growing databases of analysis data, thus each venture attribute can be compared in real time to the anonymous data from hundreds of other recently reviewed investments. This comparative analysis is essential for investors that are evaluating considerable deal flow. Each attribute, category, and overall score is compared to similar stage company data from other professionally reviewed investments giving investors more confidence and support in their investment decisions.